St. Louis, Mo– Day two of NHL Free Agency certainly hasn’t disappointed. In a day marked with the biggest transaction moves made by St. Louis Blues GM Doug Armstrong, the Blues have a few new faces on the roster for the 2015-2016 season. Robert Bortuzzo– Signed a contract with the St. Louis Blues. Although contract terms were not disclosed, I expect the deal to possibly be a 2 yr, 1.5-2mil AAV deal. It will be surprising if the deal is more than 2 million per, because the now former Blue, Barret Jackman signed a 2yr, 2mil AAV deal with the Blues Central Division Rival Nashville Predators. Bortuzzo came over in a trade from the Pittsburgh Penguins along with now UFA Marcel Goc. The 6ft 4, defenseman played in 13 games with the Blues last season, netting one goal and one assist in that time. Expect him to be a Top 6 defensemen this year, possible playing with Chris Butler. Kyle Brodziak– Signed a one year contract with the St. Louis Blues. Brodziak played in 73 games for the Minnesota Wild last season. He scored nine goals and notched 11 assists. 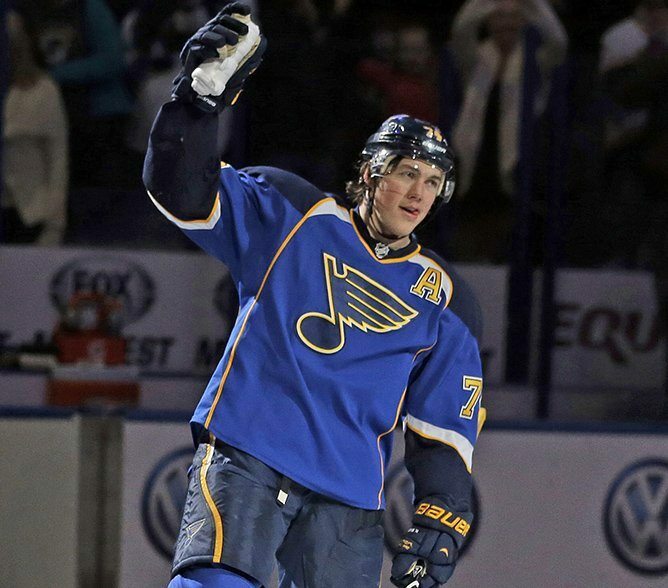 The 6ft 2 forward brings toughness and scoring ability to the Blues fourth line this upcoming season. His linemates are expected to be Steve Ott and Ryan Reaves. This signing most likely means we will not see a lot of Chris Porter in the future. Peter Harrold– Signed a one year, two-way contract with the St. Louis Blues. Harrold was apart of the New Jersey Devils organization last season, playing in 43 games. Previously he spent the last five years with the Los Angeles Kings, and their minor league affiliate, Manchester Monarchs. The 5ft 11 defenseman registered 5pts during the 2015 season. It’s possible he will try to contend with Petteri Lindbohm for the 7th defensman spot this upcoming year. Harrold has not seen playoff action since 2012. Next years draft should surrender a huge handful of good prospects, and the Blues 3rd round pick might be a good thing to have in their back pocket. Copley, 23, dressed in 26 regular season games with the Capitals minor league affiliate Hershey Bears last season, while posting a promising 17-4-3 record and a .925 save percentage. Per Doug Armstrong, Copley will head straight to the Blues minor league affiliate, Chicago Wolves to contend with Blues G Prospect Jordan Binnington. Troy Brouwer, 29, had 43 points(21g, 22ast) last season with the Washington Capitals. “You can put him on the right wing with any of the three centermen (Backes, Stastny, and Lehtera). He’s played up the lineup in Washington and also played a third-line role. He’s very effective on the power play and an iron man – he doesn’t miss many games,” Blues GM Doug Armstrong explained. Brouwer is a nine year veteran of the league posting 255 points in that time. He is a former Stanley Cup winner with the ever ‘loved’ Chicago Blackhawks back in 2010. “He plays the way the Blues are looking to play moving forward,” Armstrong added. Armstrong did not come out and say exactly that the Top 9 forwards are set, but don’t expect the Blues to do much moving forward, except lock up a future All Star in Vladimir Tarasenko. Follow or Tweet at @ImtheMANdziara or @ArchCitySports for continued Blues coverage moving forward, or share your thoughts and concerns you have about the Blues transactions so far.